Are pleasantly touched by gifts from Notta & Belle! Replacement or return of purchase! The glass dome gives a beautiful design and also protects the rose from dust, dirt and water droplets. Roses retain their freshness due to special treatment. Nothing to worry about. It is totally safe. What is a rose in a glass done? Looking at these roses does it ring a bell? Our rose is inspired by the plot of the fairy tale “Beauty and the Beast”. Having received such a rose, any girl any person Will feel loved! All thanks to the special process which involves technological extractions, the rose will delight you live up to 5 years in a glass dome. The rose is not a vacuum, the glass dome can be removed, and the rose can be touched and felt. Notta & Belle is the producer of the original roses in a glass dome. We grow our roses on our own plantation located in Ecuador. Family and Friends to spark up love around them. Absolutely everyone will appreciate such a sweet sign of attention. Show your love to that special lady in your life. She will be amazed and impressed. These are special moments when showing of love is everything. Give that special one a surprise. Create an atmosphere of love in your work flow with that perfect colleague(s) at work. Make your daughter(s) feel like a princess. 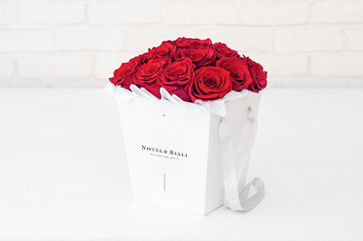 With a rose from Notta & Belle every girl is a princess. Just follow these two simple rules to keep it intact. 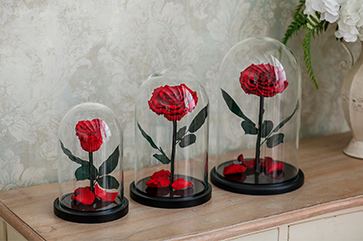 We carefully package our rose in a glass dome, so it will definitely reach you safely. We offer shipping to anywhere in the world. The standard shipping across the USA is 3-4 days. With the best flowers to create our unique composition in Ecuador. Each rose is treated with a special solution that is absolutely safe. It keeps the freshness for years! If you love classical works of art, this Forever Rose in Glass Dome is for you. This piece is classy and timeless! Each piece is unique and, as it is handmade, each lamp is special and unique. Made of high quality silk, the rose and the petals look just real, the glass made of high borosilicate making it strong and durable, making it a perfect rose in glass. 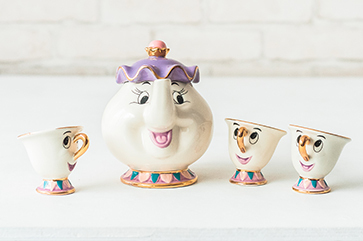 Bring elegant display space to your home with this "Beauty and the Beast" inspired centerpiece. 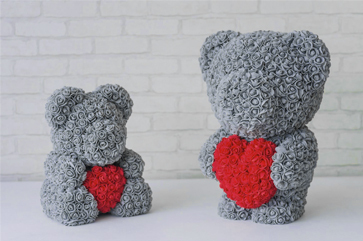 Choose the perfect gift for that special one, take a present that will appeal to the heart while creating storms of positive emotions, a gift that will be remembered for years! Don’t look too far to create this magical effect, simply buy rose in glass dome and present it. Looking to give a surprise to that loved one? Rose under glass will do the magic! Our roses are very beautiful and will cause a spare of surprises when presented and their impeccable attractive appearance gives aesthetic pleasure. You don’t have to break a bank to create surprises. Our Rose in Glass Dome are relatively affordable. Main Advantages of a Rose in a Flask from "NOTTA & BELLE"
The rose has the ability to last for your as you are looking for a present to be remembered for. By presenting this gift, you can be sure of its originality and uniqueness. Our roses are very beautiful and we use the best flowers. Rose in a glass dome is an easy way to decorate the interior of your flowers, as they do not requirecare. These fresh flowers in a dome is all you need to sparkle up the feeling of love.